Who doesn't want to be glowing during the holiday season? 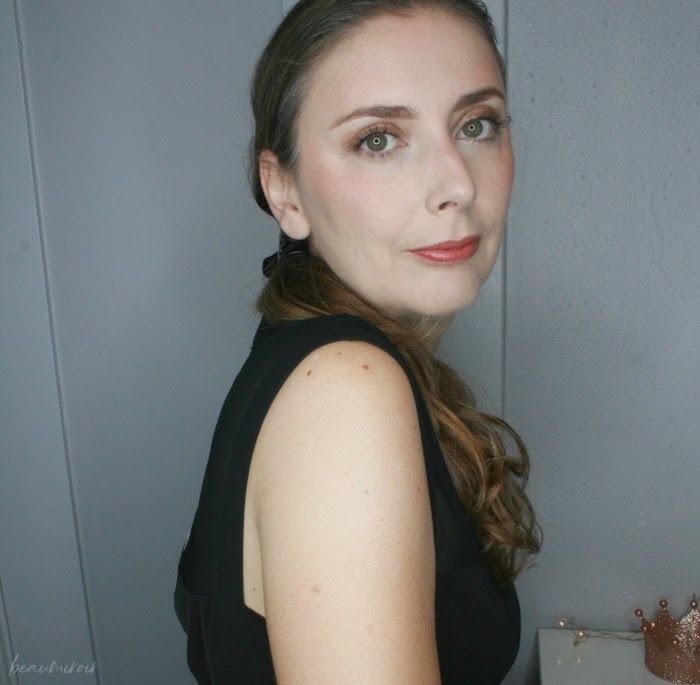 I have been testing a new, affordable product to add a little bit of shimmer to my festive looks: the wet n wild MegaGlo Body Luminizer. Keep reading to find out more! 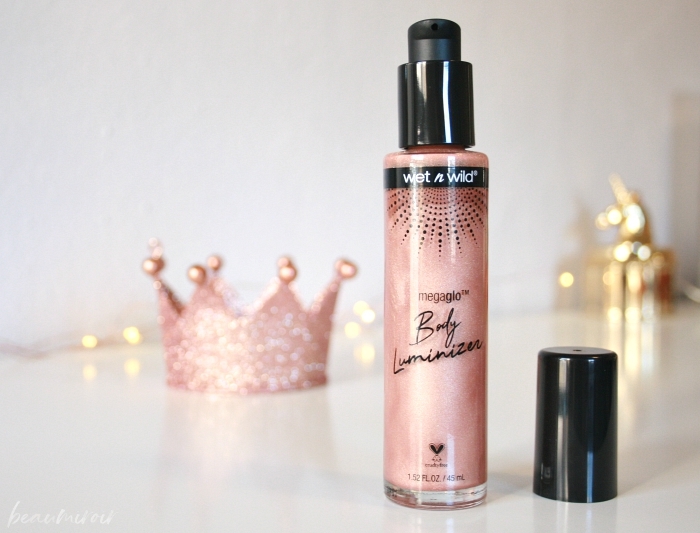 The wet n wild MegaGlo Body Luminizer is a liquid highlighter for the body that comes in a glass bottle with a pump. I noticed that it separates when I don't use it for a few days, with the shimmer and pigment sinking to the bottom, so you have to shake it well before use. The texture is similar to a lightweight oil, and the shimmer particles must be very fine because they're not gritty at all. It feels very silky when I spread it on my skin. It also has a light floral scent that I find very pleasant. The fragrance is subtle enough that it doesn't clash with any perfume I wear. The wet n wild MegaGlo Body Luminizer comes in three shades: Gold Rush, a classic yellow gold, Invested in Bronze, a deep brown bronze, and the one I bought, Heart of Rosegold. This shade is a rosegold with copper undertones that adds a bit of warmth to my skin besides the shimmer. 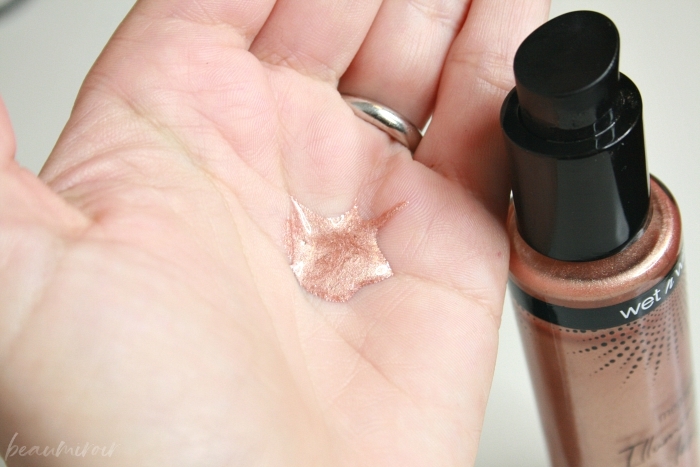 I find that applying the wet n wild MegaGlo Body Luminizer is pretty foolproof: I just use my hands to gently rub it into my skin wherever I want a shimmery glow. I do have to blend the edges so there is no visible demarcation, since it also gives a bit of color to my light skin tone. If I use one pump for a large area (such as one arm or one leg) I get a subtle veil of shimmer that catches the light when I move. I can add a second layer to build the intensity for a stronger glow. I usually do that on the top of my shoulder when I wear a sleeveless shirt and on my collar bones when I wear something with a deep decolleté. 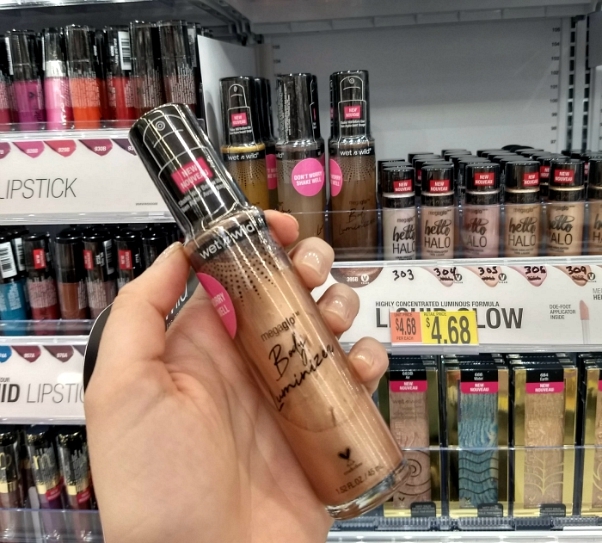 Basically it does the exact same thing as the liquid body highlighters a lot of high end brands have been launching this year, but at a fraction of the price at $9.93. It's a fun and easy way to add a bit of shimmer to my skin for the holiday season, and I'm definitely going to use it for all the holiday parties I have coming, including New Year's Eve! One thing that I think is really cool is that beyond adding a lovely sheen, the wet n wild MegaGlo Body Luminizer is also nourishing for the skin. The formula contains lots of natural plant oils, including macadamia, sunflower, passion fruit seed, grapeseed and argan oils. It's also cruelty-free, gluten-free and paraben-free, and the gold and bronze shades are vegan as well. Body highlighters are not just for the summer, they're also perfect to get beautiful glowing skin during the holiday season! The wet n wild MegaGlo Body Luminizer is a great affordable option to add a touch of shimmer to your holiday party looks. It's also a fun stocking stuffer idea for all the girls on your list. I find it very easy to use and I like that it contains plant oils that soften my skin. The wet n wild MegaGlo Body Luminizer is available exclusively at Walmart for $9.93. 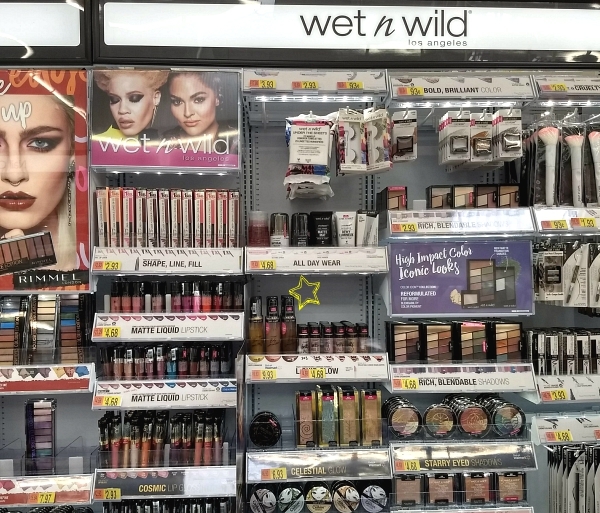 If you're not already shopping the beauty aisle at Walmart, you're missing out: it's a great place to purchase drugstore products. In my experience they receive new releases quickly and they're well-stocked, with all the existing shades usually available in the products I'm looking for. Plus, they're cheaper than other stores in my area.